Charles R. Drew University of Medicine and Science (CDU) has entered into a groundbreaking collaboration with Stand Up to Cancer (SU2C), a national organization that enables scientific breakthroughs by funding collaborative, multidisciplinary, multi-institutional scientific research teams and investigators, to explore ways to increase awareness about and participation in clinical trials among cancer patients in medically underserved communities in Los Angeles. Announced at a press event on August 29 at Los Angeles City Hall with L.A. Councilman Paul Koretz, two of SU2C co-founders Rusty Robertson and Sue Schwartz, SU2C celebrity ambassador Jimmy Smits and CDU President/CEO Dr. David M. Carlisle, the partnership is designed to address one of the biggest health equity challenges in medical science today: widening the pool of participants in research and clinical trials, particularly among communities of color, who are often disproportionately affected by certain cancers, and yet are not proportionately included in cancer research and clinical trials. 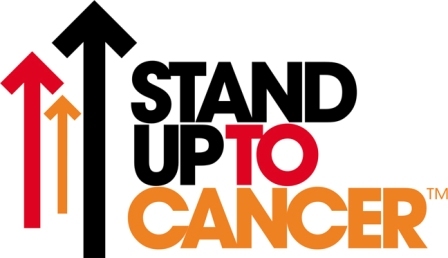 For instance, African Americans have the highest mortality rate for all cancers combined; and Latinos are more likely to be diagnosed with advanced stages of cancer, and when it is detected in later stages, treatment and recovery are much more difficult, and survival rates are reduced. Neither African Americans nor Latinos, however, are represented sufficiently in cancer research or clinical trials. By pooling resources, SU2C and the University will help the CDU Cancer Research Center increase its outreach and patient navigation efforts to recruit patients from under-resourced communities who can participate in and benefit from clinical trials.